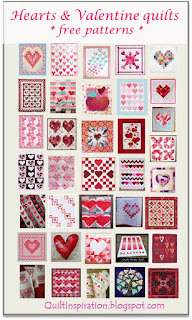 Do you have Valentine Quilts. I only have a few but I'm working on making more. Since Valentine's Day is tomorrow, I thought I'd share what I do have. I made this one a couple of years ago when I was teaching an applique class in Brownwood Texas and in Nevada, Missouri. 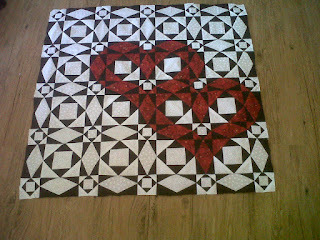 I also made this one for a blog hop 2 years ago. You can read about it here. 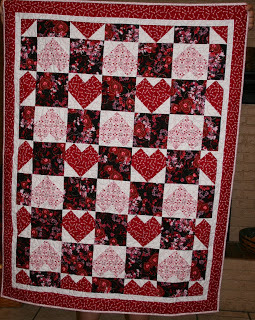 I have these 2 Valentine quilts that are made from a pattern I designed called Hearts Desire. You can get the pattern for them here. 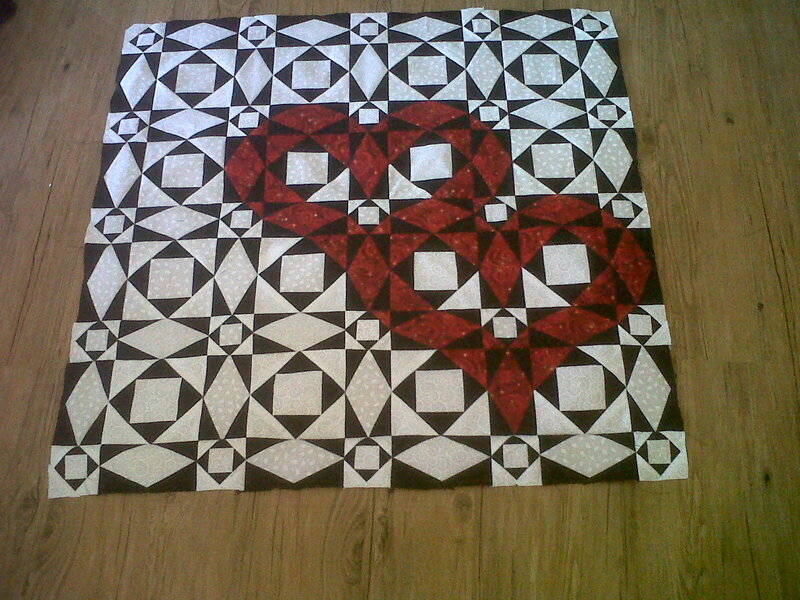 And this one is the same Hearts Desire pattern but with non-traditional Valentine's fabric. A Texas Love Affair. 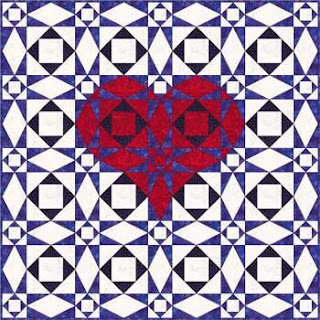 One last Hearts Desire quilt. I sent this one to Raleigh while she was in Japan. And of course, there is this one that I just made this year. You can get the free pattern here. I have pinned a few quilts on Pinterest that I want to make. 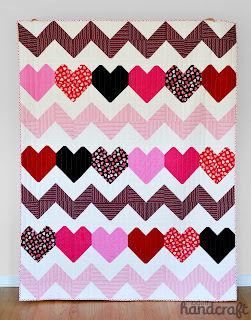 This "I Heart Chevron Quilt" by Modern Handcraft is one of them. There is a great tutorial for it here. 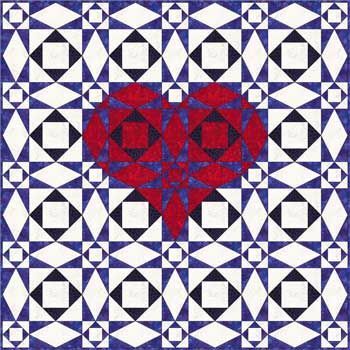 I've seen several variations of the Storm at Sea pattern with hearts in them. 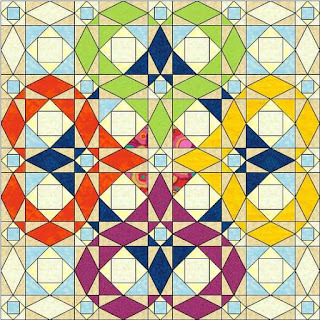 This one is from Delta in Waco TX from my Quilting Board I belong to. The link for this one is broken so I can't give credit to the right person. This sweet little pillow is from a pattern on Craftsy. You can find it here. 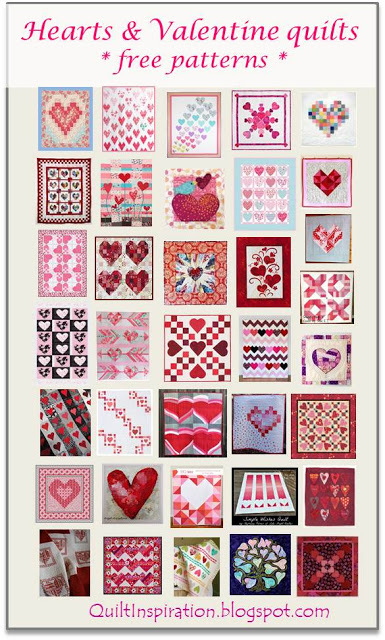 And if I didn't share enough of what I like, here is a compilation of a whole bunch of FREE heart and valentine patterns here. 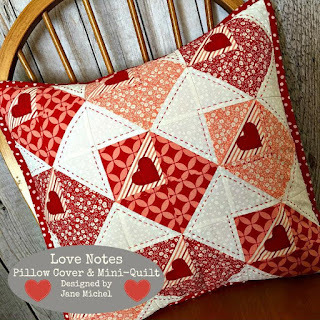 And these aren't quilts but I couldn't resist sharing some Valentine goodies. After all, it wouldn't be Valentines without something yummy! You can find the recipes here. Have a Very Happy, Sweet, Romantic Valentine's Day! They are all sweet! I pinned that chevron heart quilt, too! Happy Valentines' Day!